Ecotechnology, also called ecological engineering, offers today a wide spectrum of methods to be applied in environmental management. This book gives a broad overview of the methods, their advantages and disadvan tages, and how they can be applied in environmental management. All the methods are rooted in the application of sound ecological considerations. Nineteen ecological principles are presented in the chapter Basic Ecological Principles as Basis for Ecological Engineering and it is shown how these principles can explain the basic ideas behind the application of the ecological engineering methods. 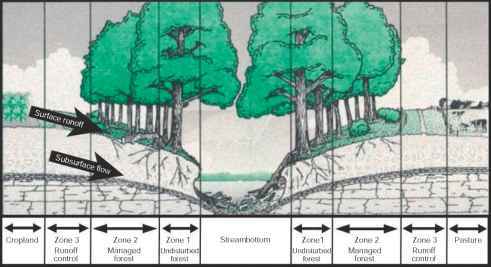 The principles build a solid bridge between ecology and the practical use of the methods in environmental management. The book is based on the presentation of ecological engineering or ecotechnology as an ecological subdiscipline in the recently published Encyclopedia of Ecology. Due to an excellent work by the editor Jan Vymazal of the Ecological Engineering Section in the Encyclopedia of Ecology, it has been possible to present a comprehensive and very informative overview of the ecological engineering methods in this book (see parts Use of Natural and Semi Natural Ecosystems to Solve Environmental Problems, Restoration of Ecosystems, Constructed Ecosystem - Imitation of Nature, and Application of Ecological Principles in Environmental Management). I would therefore like to thank Jan and all the authors of ecological engineering entries for their contributions to the Encyclopedia ofEcology, which made it possible to produce this broad and up to date coverage of a very important subdiscipline in ecology.